I completely agree. This was just another in a long line of WWII movies that seemed to clutter up the shelves of video stores in the 80s. Umberto Lenzi just died a few weeks ago, by the way. We are in total agreement here. That's sad he just died. He will be missed, he's made some great movies. 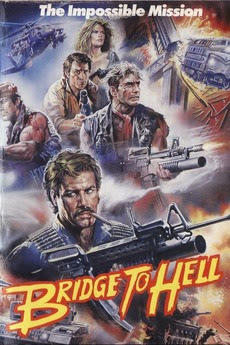 Out of the 4 Michael Dudikoff Action Video films, this one is the weakest, it's just a bore for the most part and has little to none of the entertainment usually seen in a Lenzi film. Looks like we're in agreement there. Thank goodness for the Dudikoff segments, or there wouldn't be much else.